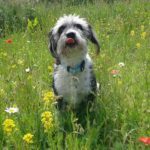 – These treats are very healthy for your dog, and they love the taste. 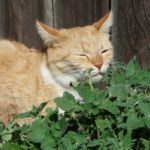 Be conscious of providing nutritious ingredients for your dog. There are some fantastic recipes here. 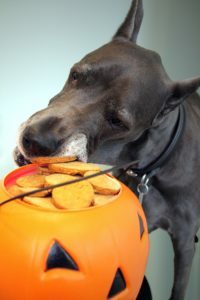 Hide these treats around the house or in a pile of leaves. 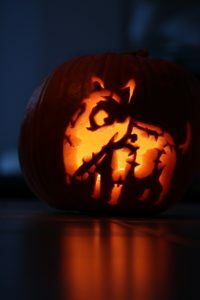 – Invite your friends and their dogs to celebrate Halloween together. 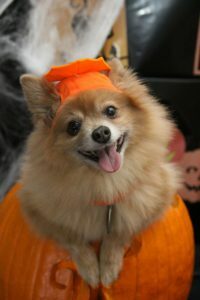 Dress up your pooches and have the best in a costume contest. Here are some DIY costume ideas. 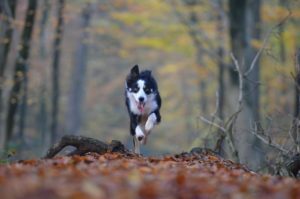 – In your yard or a park, dogs love to jump in and race around a pile of leaves. Try to keep the twigs out to avoid potential injuries. 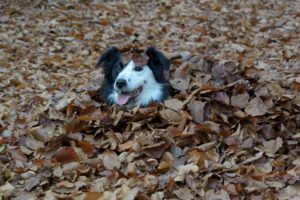 Hide dog bisques or favorite toys in the leaves and watch your dogs have a blast retrieving them. – Every year you can find local new and exciting annual events. Check the newspapers or google online for upcoming events near you. Be prepared to trick or treat yourself too! 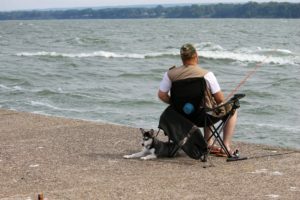 – While fishing the dogs can explore the area, connect with nature, cool off in the water, and enjoy fresh air while you catch your next meal. – A leashed well-behaved dog is welcome to ride up and down with you. 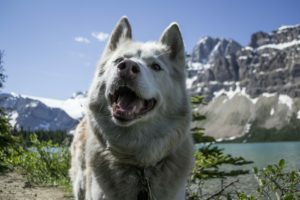 This ride can be a perfect time for you and your dog to explore the mountains while hiking around discovering the wildlife. 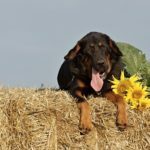 – Many breeds of dogs find this activity fun. It’s great for the mind and body. Dogs learn to be focused and not let distractions take control of their behaviors. 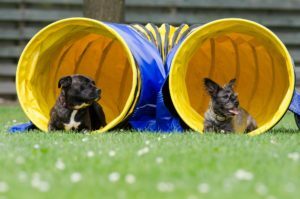 This activity is also significant for socialization as there are several dogs and people around in an enclosed in a common area.